Wars are fought at the front lines, but winning a nation’s hearts and minds comes at the home front. In Russia, the conflict in eastern Ukraine is a hotly contested political subject, and nothing counts more than rhetoric about the people who have died. This is hardly surprising, given that almost 6,000 people—many of them Russian citizens fighting for “Novorossiya”—have been killed in eastern Ukraine since the start of hostilities last year. ЗООНАБЛЮДАЕМ за нашими дорогими соотечественниками и пытаемся разузнать насколько толстым должна быть деза, чтобы среднестатистический ватник в нее не поверил, края пока не видно, но мы выстоим. We’re going to zoo-observe our dear compatriots, and try to find out how ridiculous disinformation has to be, before a vatnik [a derogatory term for those who support eastern Ukraine’s pro-Russian separatists] starts to second-guess it. We don’t know if there’s even a limit, but here goes nothing. The plan was simple: choose a famous public person—a politician, an actor, an infamous criminal—and claim they either died fighting for the separatists in Ukraine, or attribute to them a strongly pro-Russian statement. These photo mashups are typically signed with intentionally misspelled names, often translated awkwardly into Russian. For its experiment, Dvach targeted users of Odnoklassniki, Russia’s second-most popular social network that attracts an older, more conservative crowd. Troll quotes are image macros that feature a quote from a popular movie or TV show and attribute the quote to a character in another popular movie or TV show. Often the background image will come from a third unrelated pop culture source. These images are created in order to annoy or troll members of all the involved fandoms who will quickly identify the obviously incorrect attribution. This “troll quote” features words by Star Wars’ Yoda, a photograph of Ian McKellen’s Gandalf from Lord of the Rings, and is signed by Dumbledore, the wizard headmaster from Harry Potter. Dvach’s innovation is using its image macros as a test for political gullibility. By getting hundreds, sometimes thousands, of Odnoklassniki users to “like” some of these dis-informative images, Dvach exposed an important effect of the echo chambers operating online (especially on social networks, where individuals can tailor their information flows to media outlets and communities that never challenge their prejudices). 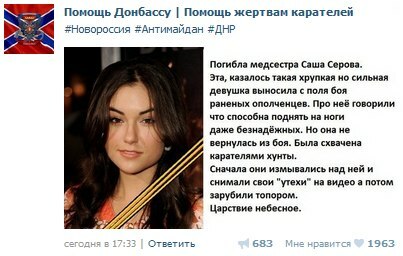 This image shows American former pornstar Sasha Grey, whose surname is translated into the Russian word meaning “grey,” claiming she died as a first-aid worker in eastern Ukraine. Her obituary contains several sexually suggestive double entendres (for example, “they say she could raise even the most hopelessly wounded men to their feet”). The photo’s legend says: “Don’t try to discuss seriously with employees of the Center for Informational Technologies in Skolkovo. They are paid 85 rubles for every comment; their month salary is 30000 rubles + bonus”. Kevin, is that something wrong with you? 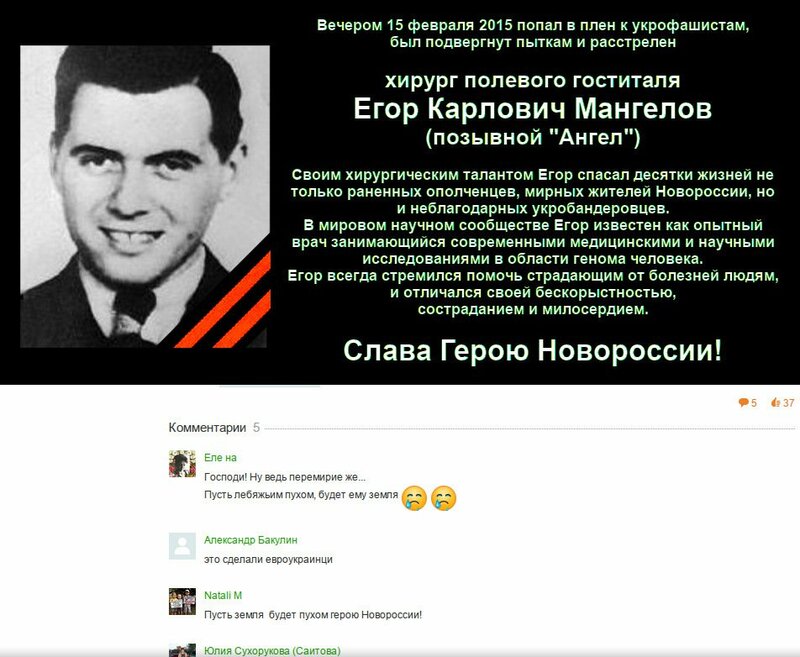 You didn’t put up the best one, even though Yarosh is close: the one of “this child was killed by Ukrainian nationalists” and the image is a childhood photo of Stepan Bandera. This is an anti-Russia propaganda site. They take obscure anonymous twitter claims and make them into some Russian propaganda but ignore huge lies in mainstream Western media outlets. The third pic is a joke of administration of inactive pro-rebel public in VK. Previous post in this public was in August. 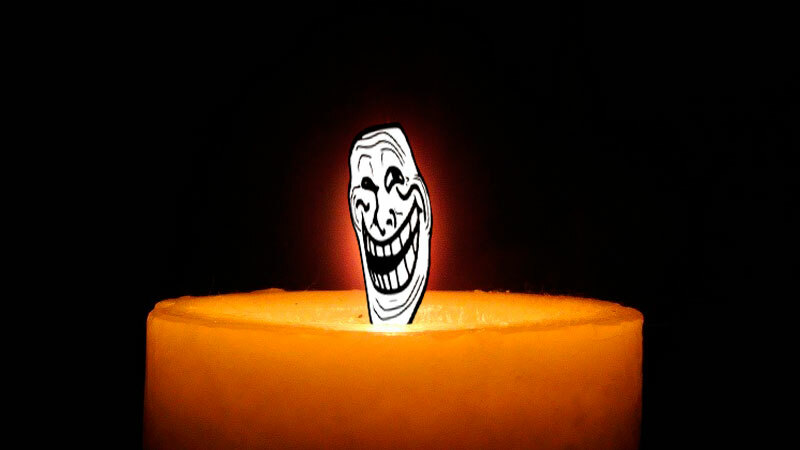 Trolled. Congrads. The fourth pic is from ok.ru (classmates). It’s users are old (45-70 y.o.) newbies. And these groups have a shittone of news and other stuff every minute with no moderation. The troll on the photo works on 10 accounts simultaneously; he get paid for every answer to his posts; however, post without answer remains unpaid. Russians are making a mock of russians. That is nothing new.